This clear vase looks like a large martini glass on a short stem. It can be used to hold a floral arrangement, marbles, or a floating candle. 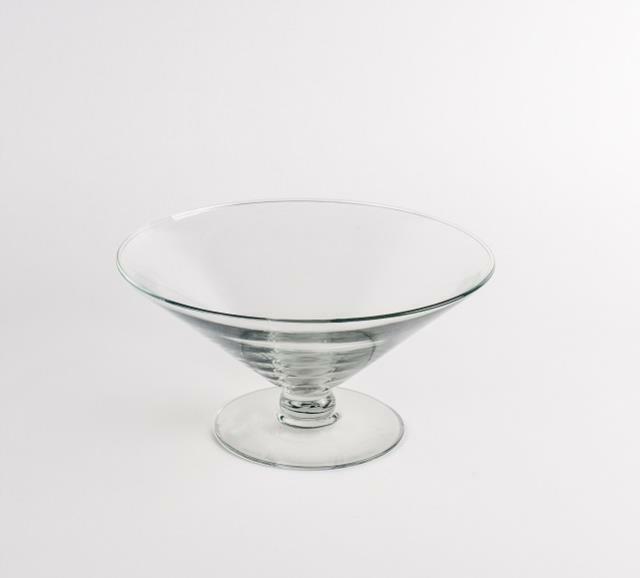 Measures 5"H x 9 3/4"W.
* Please call us with any questions about our bowl martini short rentals in Columbia and Jefferson City MO.